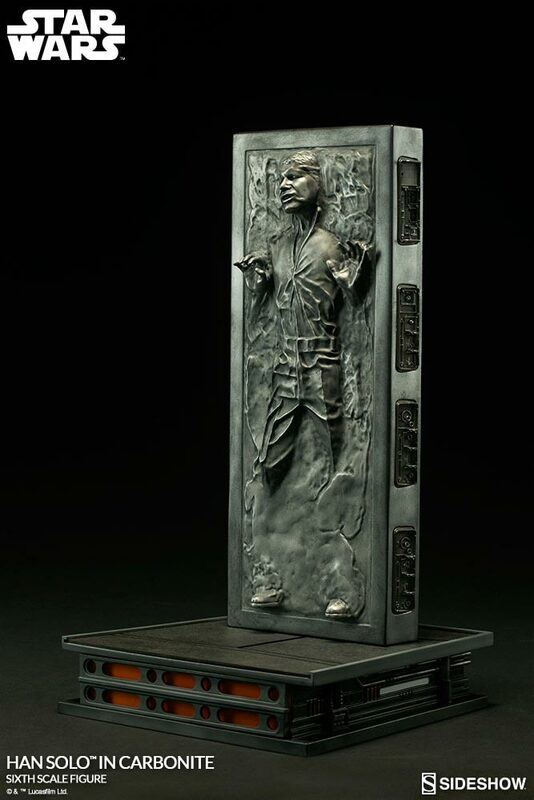 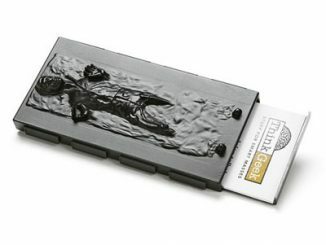 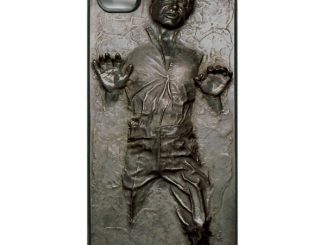 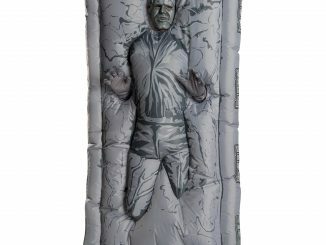 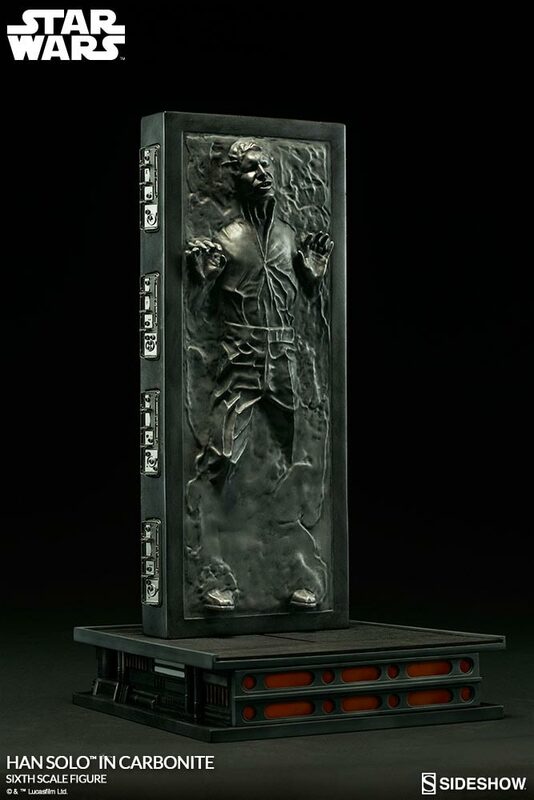 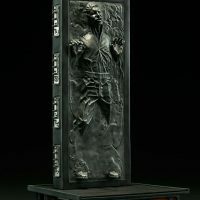 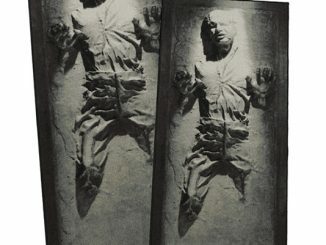 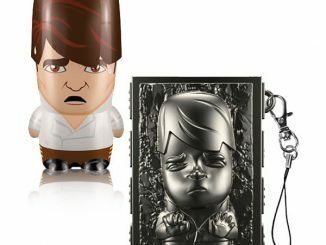 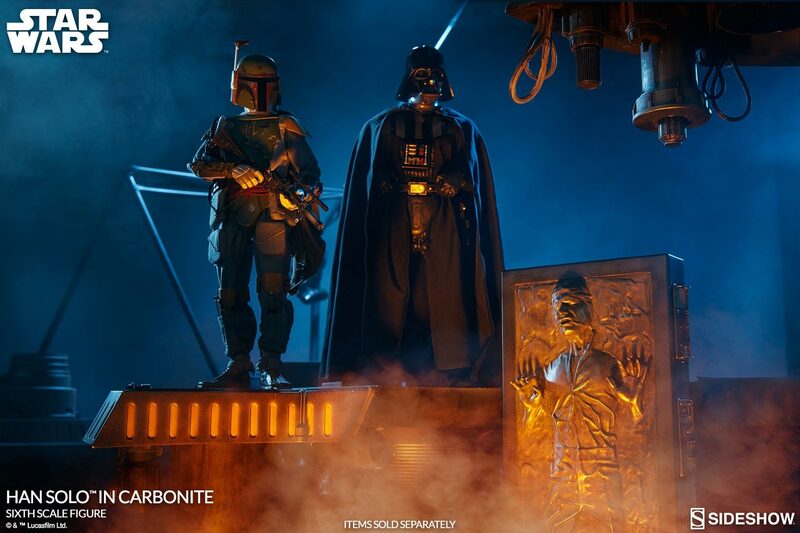 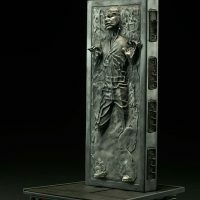 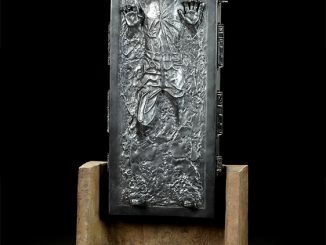 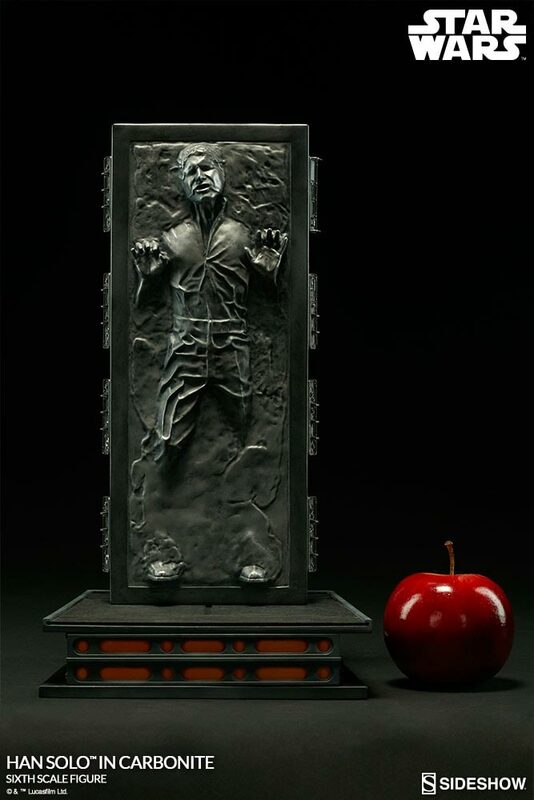 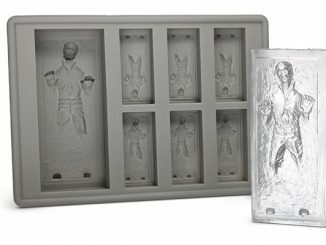 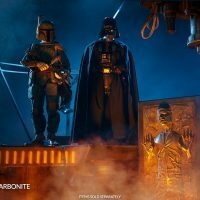 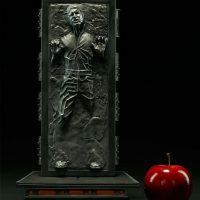 Many of us would love the Life-Size Han Solo in Carbonite Statue, but it is just too expensive. 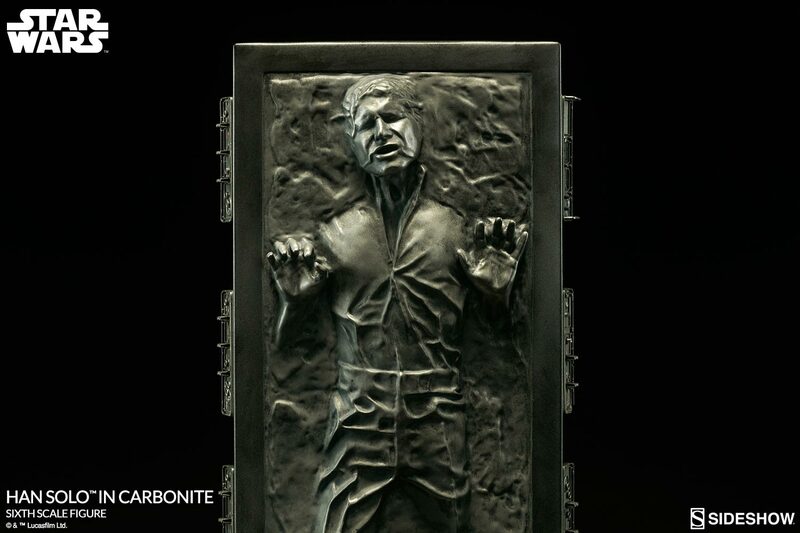 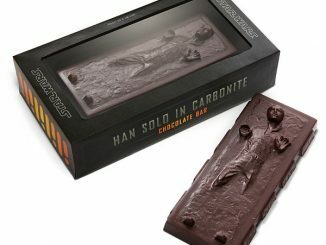 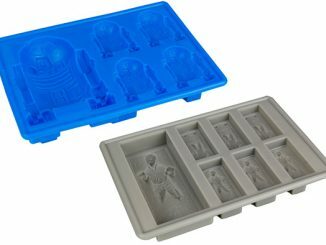 Luckily, this Han Solo in Carbonite Sixth Scale Figure offers similarly impressive detail in a much less costly small form factor. 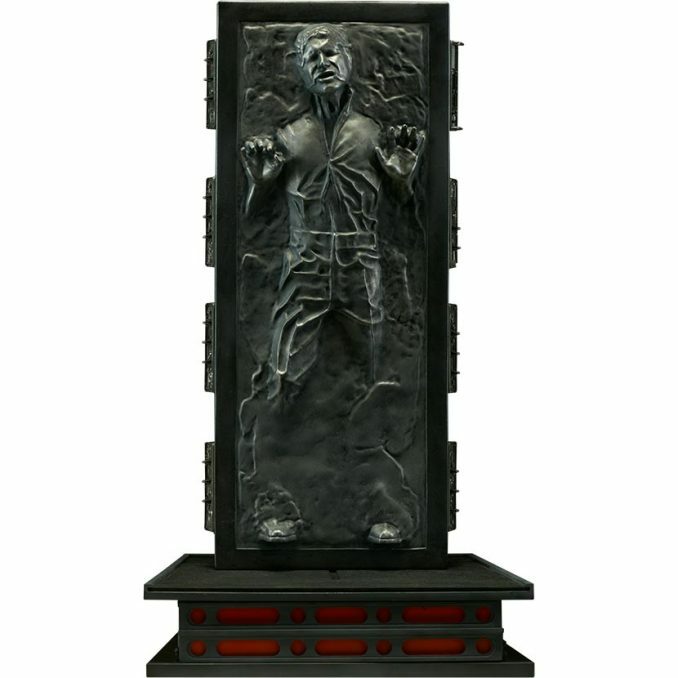 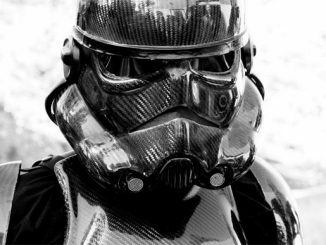 Instead of 7.5′ tall like the life-size version, this one packs the same dramatic figure into 15″ of height. 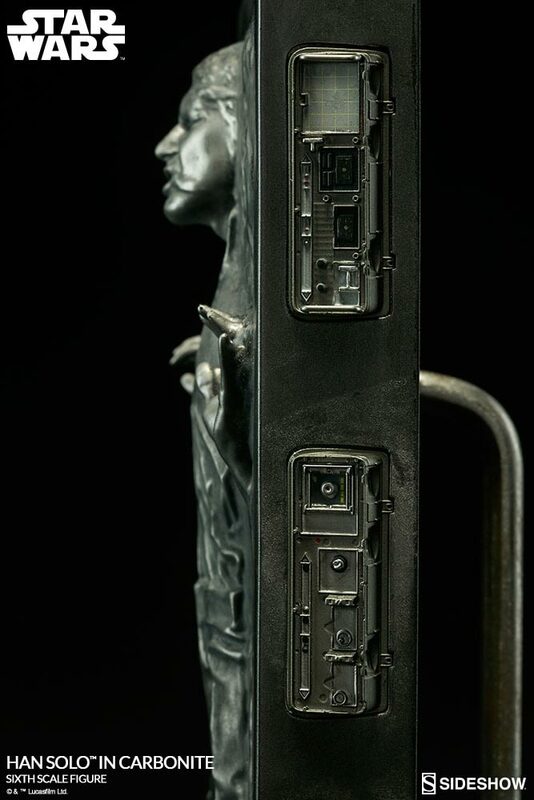 That also makes it much easier to find a good spot to display it. 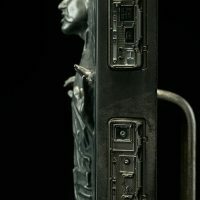 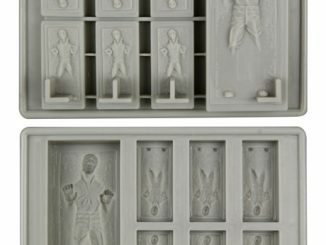 As you can see in the image gallery below, this Han Solo in Carbonite 1/6 scale statue is meticulously detailed. 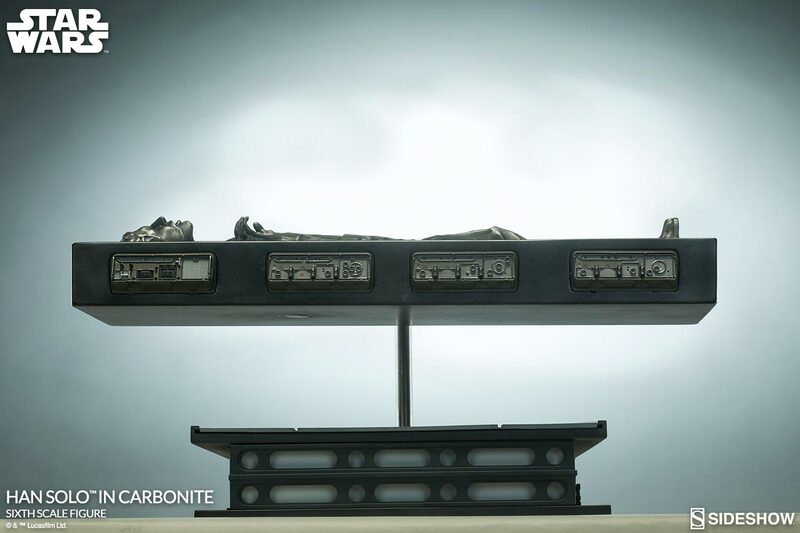 It even has an illuminated control panel on the carbon slab, and the base is illuminated as well. 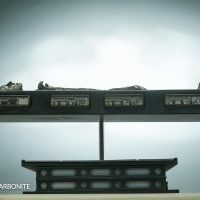 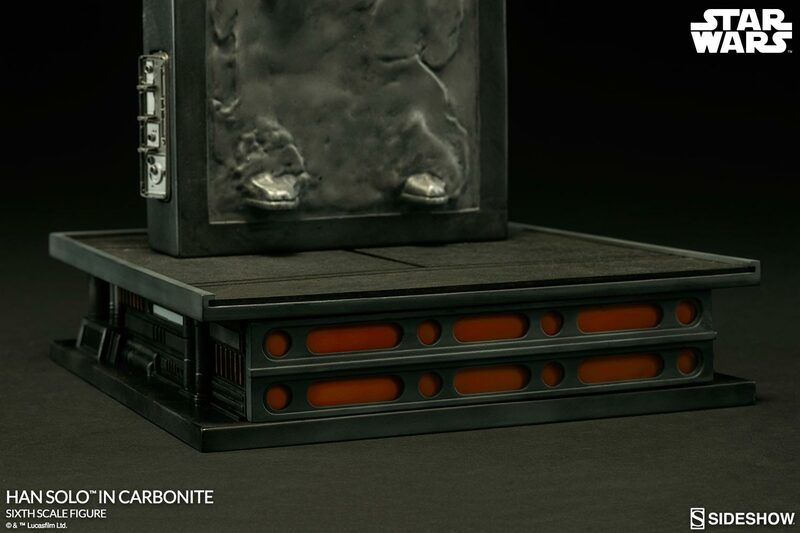 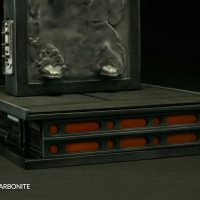 It also accommodates multiple display options, with the carbon slab upright as it rests in the freezing chamber or horizontal like when it is moved through a Bespin hallway, complete with swappable floor decos to properly simulate either scene. 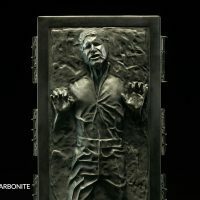 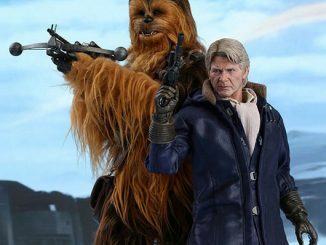 Buy the Han Solo in Carbonite Sixth Scale Figure for $249.99 exclusively at Sideshow Collectibles.